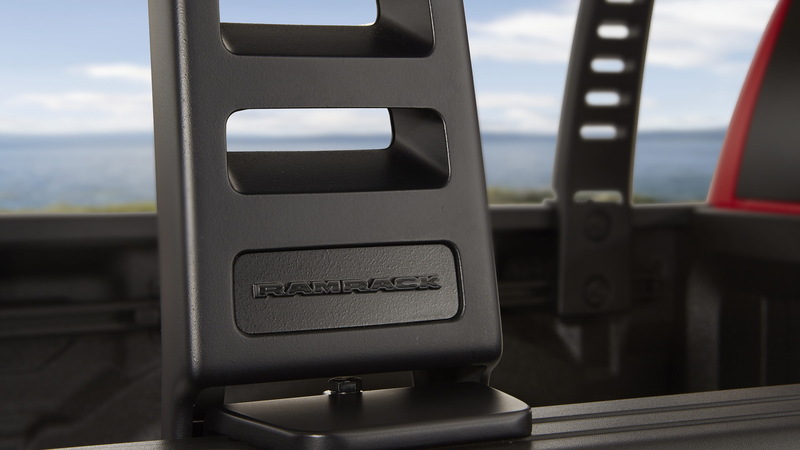 Fresh from its debut last month at the 2018 North American International Auto Show in Detroit, Ram's redesigned 1500 has rocked up to the Windy City dressed in a variety of Mopar accessories that will be available to buyers when the truck goes on sale next month. 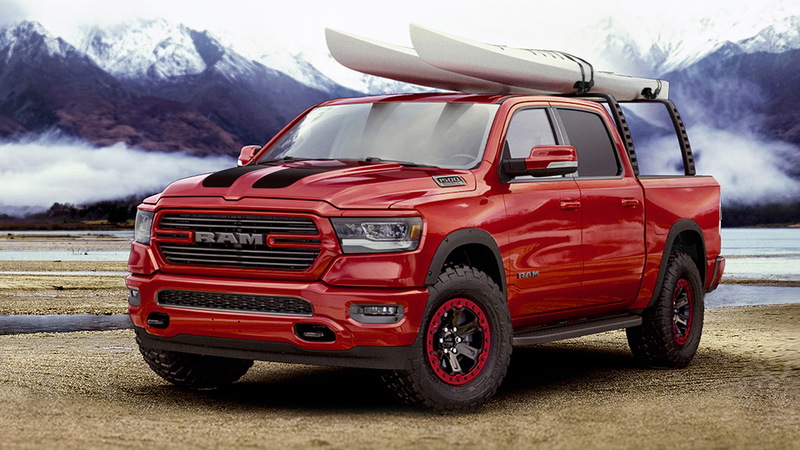 Ram on Thursday took the covers off a 2019 1500 Big Horn Sport with a definite outdoor-sport theme at the 2018 Chicago Auto Show. We're told there are close to 200 accessories from the Mopar catalog fitted to the truck. Some of the more useful items include a 2.0-inch lift kit that enables you to fit massive 35-inch off-road tires to the truck. 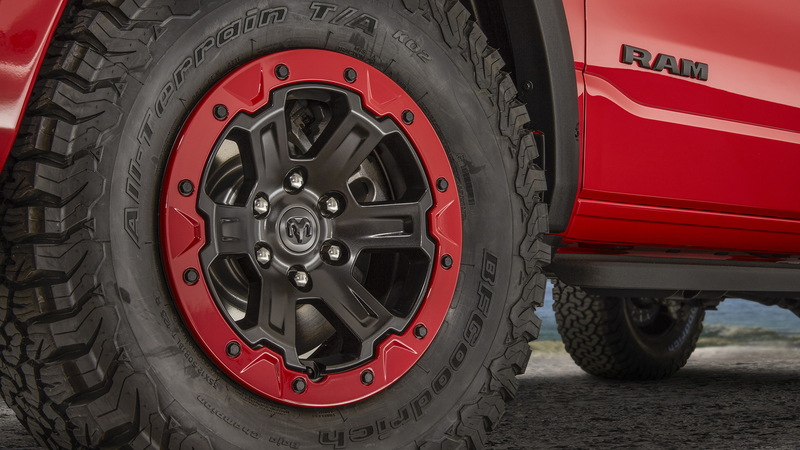 In this case, those tires are wrapped around 18-­inch, 6-­lug off-­road beadlock-capable wheels with matching trim rings to keep the tires pegged to the rims when aired down for increased off-­road grip and traction. Also adding to the aggressive stance of the vehicle is a set of wheel flares that not only accentuate the massive tires but also protect the body against any brush. 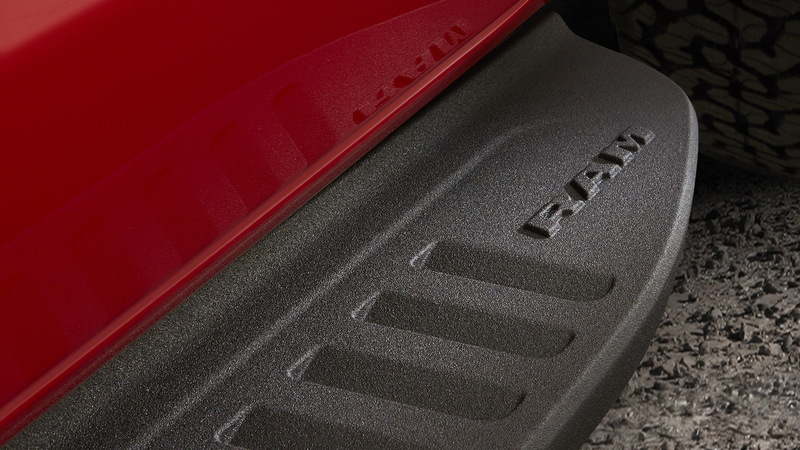 Connecting those flares are cast aluminum running boards with a skid-­resistant stepping surface. Moving to the bed, we're sure you'll notice the new rack. 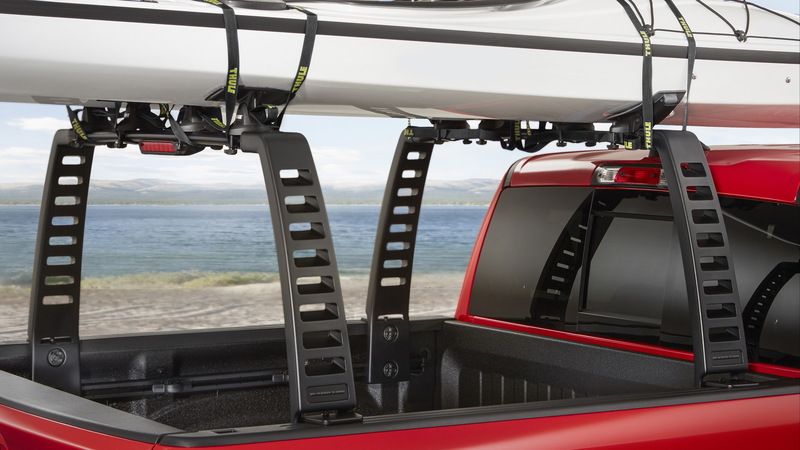 Previewed in concept form at the 2016 SEMA show, the rack is said to be extremely durable but also adjustable. It mounts to the available production bed utility rails and can be adjusted so that the rear rack slides all the way to the front. By now you're probably dying to know if there are any performance mods. Well, there are two that are mentioned. You can order from Mopar a cold-air intake and cat-back exhaust. They help to improve air flow in and out of the engine and the exhaust also enhances the truck's sound. The pair are designed for the 1500's available 5.7-liter V-8 which is rated at 395 hp and 410 pound-feet of torque. Sales of the 2019 Ram 1500 commence at the end of March.